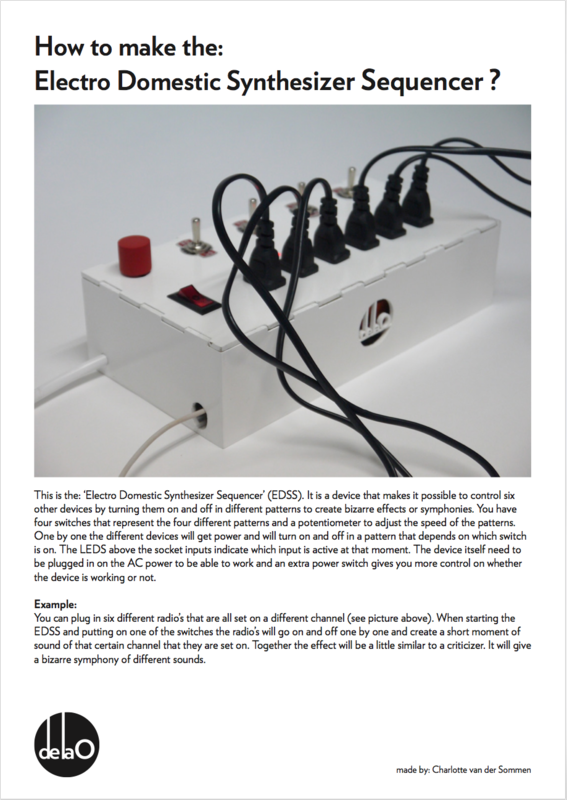 Concept: The Electro -Domestic Synth Sequencer (EDSS) is an experimental analog sequencer that uses household electronic devices as notes. 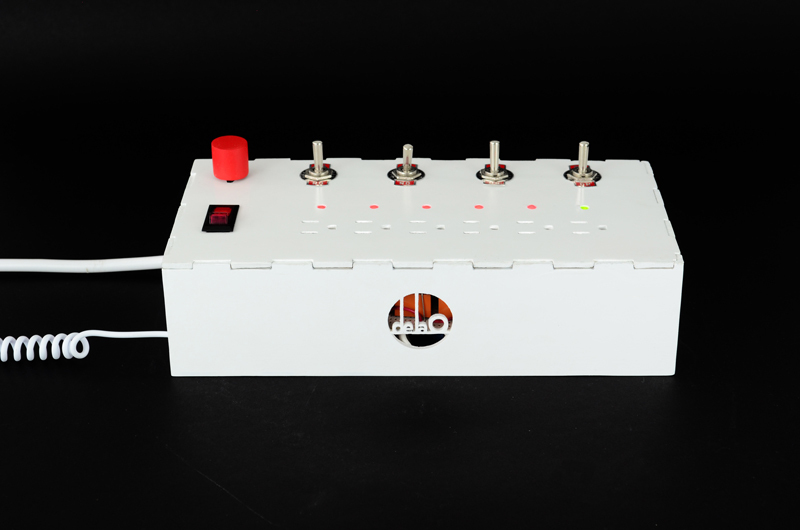 By using this device, one could produce sequential electronic noises and weird symphonies. The device consists on a hacked multi-outlet, an arduino board and several electrical components. It has 4 switches that activates different patterns that turns on and off a single consecutive outlet, therefore, turning on and off the consumer electronic. Every outlet has a 3 color LED indicator and a potentiometer is used to adjust the tempo. This project was developed under the #ProyectFriday program, where every friday, all collaborators and interns at Studio José de la O develop a personal non-commercial project where exploration, conceptual thinking and experimentation is highly encouraged. Concept and Art Direction: José de la O. Design, coding and physical computing: Charlotte van der Sommen. You can make your own EDSS! Electro-Domestic Sinth Secuenser by José de la O & Charlotte van der Sommen is licensed under a Creative Commons Attribution-NonCommercial 4.0 International License. Based on a work at www.studiojosedelao.com.